Our mission is to connect the world’s brands to their customers at scale. In a world of fragmented devices and attention, Signal provides an open identity foundation for brands, data owners, and their marketing partners to immediately address customers in real time across any device and any marketing channel. Prior to joining Signal, Mike was part of the original Orbitz management team and held the positions of CMO and COO. While at Orbitz, Mike helped take the business from start-up to IPO, then through two acquisitions (Cendant and Blackstone). After Orbitz, Mike joined The Pritzker Group as a partner on their private equity team. Mike also has held management roles at General Motors Corporation and Leo Burnett. His work at General Motors led him to be named a “Marketer of the Next Generation” by Brandweek magazine. Mike holds a Bachelor of Science degree in Communications from Northwestern University and a Masters in Management degree from the J.L. Kellogg School of Management. Mike sits on the Signal board of directors. Other current and prior board experience includes Angie’s List (ticker ANGI) acquired by IAC subsidiary HomeAdvisor, YouBet.com (ticker UBET) acquired by Churchill Downs, local Chicago start-ups SIM Partners, acquired by Reputaion.com and ParkWhiz. At Signal, Mike has been recognized with several honors, including the 2015 EY Entrepreneur of the Year award. He has also been named to the Crain’s Tech 50 list of top technology leaders in Chicago and the Techweek 100 list of the most influential technology leaders in Chicago. Giuliana has over 20 years of experience in setting up and growing financial operations, including transactional experience in early-stage companies. Prior to Signal, she worked at FeedBurner, where she managed accounting and finance, and was instrumental in developing and implementing the sales, revenue and accounting operating system to effectively manage over 200 advertisers and 1,500 publishers in FeedBurner’s ad network. Giuliana was also a key member of the deal team closing the sale of FeedBurner to Google and joined Google to integrate FeedBurner’s operations and revenue management platform into Google’s financial operations platform. Giuliana began her career at Ernst & Young, working extensively in the entrepreneurial services and transaction advisory practice for 10 years. Giuliana holds a B.S. in Accounting from Northern Illinois University and is a CPA. Joe spearheads Signal's efforts to deliver world-class Identity solutions for clients, including managing the Signal Identity Network as well as leading sales to publishers, media companies marketers and technology platforms. Joe is dedicated to creating technology solutions that make digital marketing more addressable, scalable and efficient, with a focus on resolving customer identity across offline and online sources at scale and in real time. A seasoned executive with 20 years of experience at companies including General Mills, Microsoft, Media6Degrees (now Dstillery) and Rallyverse, Joe brings to Signal significant experience across a range of sectors including marketing technology/SaaS, display/search advertising, consumer internet services and consumer packaged goods. He holds an MBA from Harvard Business School and a BS in Chemistry from the United States Military Academy (West Point). Mike Sands, Marc Kiven and Eric Lunt, much dismayed by a fragmented marketing landscape, meet to strategize ways to fix what they see as missed opportunities for brands. Together, they share a vision for making sense of the mess, and found Chicago-based BrightTag. Its tag management solution enables online publishers and marketers to streamline data as well as advertising management and complexity — something Signal still does today. Gaining momentum, the company raises $3 million in Series A funding led by Pritzker Group Venture Capital and TomorrowVentures. Recognizing our enormous promise, other investors jump on board, including EPIC Ventures and Jason Knapp. Our tag management solution and data hub integration platform officially launches to the public. The platform is purpose-built to optimize the collection of data, with server-direct, real-time capabilities for passing data from websites and mobile apps to multiple vendors. As the product takes off, the company secures $5 million in Series B funding, and adds I2A Fund to its roster of ardent supporters. Two sure signs that a company’s heading in the right direction: a new address for a growing team, and fresh funding from some leading venture capital firms. In our case, that comes as a move to new offices at 440 N. Wells Street in Chicago and a $15 million Series C funding round led by Baird Capital, with contributions from EPIC Ventures, I2A Fund, Pritzker Group Venture Capital and TomorrowVentures. With a Chicago Innovation Award and an eTail Rising Star Award further galvanizing our mission to fix the broken marketing machine, we enter the European market through the acquisition of SiteTagger — at that time among the largest tag management solutions in the U.K.
Yahoo! JAPAN becomes the Japanese market’s exclusive distributor of the BrightTag platform. We next sets our sights on Latin America, partnering with AUNICA to provide Brazilian and Latin American marketers with a results-driven, omnichannel data platform. Support grows and grows, culminating in $27 million in Series D funding from Baird Capital, EPIC Ventures, G-Bar Ventures, I2A Fund, Jumpstart Ventures, Pritzker Group Venture Capital and TomorrowVentures. Ahead of our inclusion in the Red Herring Top 100 North America, we take a bold step and change our name to Signal, a brand better reflecting our vision for the future of marketing technology. To help brands create next-generation customer experiences, the open data platform that sits at the core of Signal’s business today is born. Building a global brand means you must have reach and presence in places like Sydney, Tokyo, London, Singapore, Melbourne and Sao Paulo. It also means you must have a world-class headquarters. So Signal relocates again, to a new HQ enjoying state-of-the-art infrastructure and amenities while providing ultimate accessibility to Chicago’s West Loop, the heart of the city’s technology corridor. To close out the year, Signal surpasses 10,000 customers. That’s a lot of happy people. Signal ranks number 51 on Inc. magazine’s annual ranking of the 5,000 fastest-growing companies in the U.S., buoyed by 5,244% year-over-year growth and more than 100 new team members. The honors don’t stop there. Signal also lands at number 11 on the Deloitte Technology Fast 500 names the fastest-growing technology, life sciences, energy tech and media companies in North America. This continued recognition helps position Signal at the forefront of its industry as a cross-industry vertical solution provider. Crain’s Chicago Business names Signal the number one fastest-growing company in the Windy City. The company also completes a $30 million Series E funding round, led by Chicago-based I2A, joined by Pritzker Group Venture Capital, Baird Capital, EPIC Ventures and Silicon Valley Bank. 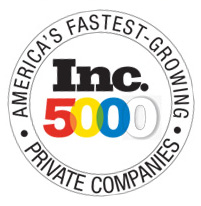 In addition, Signal is once again named to the Inc. 5000 list of fastest-growing private companies, coming in at number 14 in Chicago and number 13 in Illinois. Credit the more than 130 dedicated, passionate team members that help make honors like this possible. Moving on up (and over), Signal relocates to its new 27,000-square-foot headquarters at 222 N. LaSalle St., a.k.a. the Builders Building, a 90-year-old office tower overlooking the Chicago River. Following five-year growth of more than 10,000% and with a staff eclipsing 160 employees company-wide, the new space comes as a very welcome change. A new category, “Identity,” appears in the LUMAscape marketing technology taxonomy — and Signal is among the representative providers selected for inclusion. Identity’s LUMAscape debut in many respects heralds the culmination of the revolution kickstarted by Signal’s launch, formally recognizing 1:1 marketing’s growth beyond the walled gardens into myriad new channels. Signal further cements its place within the martech ecosystem via key partnerships including integrating with Adobe Audience Manager, the data management platform within Adobe Experience Cloud. The integration empowers brands to deliver more contextually relevant, in-the-moment advertising across every touchpoint. Signal also pairs identity resolution with Selligent Marketing Cloud’s marketing automation solution, letting marketers reconcile consumer identities across owned and paid media. In addition, Signal extends its Customer Identity Solution to Flashtalking’s independent ad serving and creative analytics capabilities, giving brands a comprehensive mechanism for delivering and measuring personalized dynamic creative across devices. Signal closes out its first decade by unveiling the first digital marketing platform capable of performing data onboarding and onsite identity resolution in real time. The solutions accomplish in minutes what other data onboarders require days or weeks to complete, radically reducing the time and effort needed to build and deploy a proprietary identity graph across multiple marketing channels. Signal also introduces Addressability Rates, which go beyond conventional match rates by identifying addressable customers, not just devices and cookie tables. This new measurement of effectiveness calculates the portion of a matched audience the marketer can actually target at a person level and at the real-time point of engagement. Initial deployments show average match rates and DSP addressability rates far surpassing industry standards for campaign targeting. Here’s to all that the future has in store. What’s customer success? We spoke with 7 Chicago tech companies to find out. Customer success has become a fast-growing field in the tech industry as more companies seek to differentiate themselves from the competition with a personal touch. That said, there’s no one-size-fits-all approach, as every company interacts with, and measures the success of, its customers differently. MarTech Today’s recent report examines the market for identity resolution platforms and the considerations involved in implementation. Signal is featured in the comprehensive report that reviews the growing market for identity resolution platforms. The most successful DTC brands have built their entire foundations on identity-driven capabilities. Knowledge of the customer powers every interaction. It informs how DTC brands design products, how they grow, and — yes — how they sell. Baird Capital, the U.S.-based venture capital fund of Baird Private Equity, makes venture capital investments in early and expansion stage business services and life sciences companies. Baird Capital leverages its in-depth sector knowledge, experienced investment team and network of relationships to serve as a value-added partner for its portfolio companies. Baird Capital and its affiliates have raised and managed over $2.8 billion in capital and invested in more than 250 companies since the 1980s. I2A is a Seed/Early Stage Venture Capital Fund focused on catalyzing and partnering with the next wave of successful entrepreneurial companies in the Illinois region. I2A was co-founded and launched by many of Chicago’s most prominent business leaders and entities. These leaders of their respective industries have not only invested in I2A but also are committed to helping I2A’s portfolio companies with their collective expertise and networks. TomorrowVentures is a seed and early-stage venture capital firm focused on developing innovative ideas that have the power to change the way we live, interact, and thrive. Founded in 2009 with a unique approach to venture capital and an extensive, diverse base of experience and expertise, TomorrowVentures adds value far beyond capital. The firm’s goal is to grow companies capable of transforming technology, lifestyle and philanthropy. TomorrowVentures is headquartered in Palo Alto, California and has an office in Denver, Colorado. EPIC Ventures is a premier early stage software and Internet infrastructure venture firm whose mission is to back entrepreneurs and companies positioned to lead the information economy of tomorrow. We bring the collective operational and financial experience of our partnership, our world class advisors, and our extensive network of technology industry contacts to engage and ensure our portfolio’s success. Headquartered in Salt Lake City, EPIC Ventures was originally founded by Zions Bank and is a Partner Fund in the DFJ Global Network. Pritzker Group Venture Capital, formerly New World Ventures, helps entrepreneurs build market-leading technology companies at every stage of their growth. Since our founding in 1996, our firm has worked side-by-side with entrepreneurs at more than 100 companies, building partnerships based on trust and integrity. Our proprietary capital structure allows for tremendous flexibility, and our experienced team of investment professionals and entrepreneurs offers companies a vast network of strategic relationships and guidance. Successful exits in recent years include Fleetmatics (NYSE: FLTX), SinglePlatform (acquired by Constant Contact), Zinch (acquired by Chegg), Playdom (acquired by Disney), LeftHand Networks (acquired by Hewlett-Packard), and TicketsNow (acquired by Ticketmaster). Yahoo! JAPAN, operated by Yahoo Japan Corporation, is a leading Internet brand and one of the most trafficked Internet destinations in Japan. Yahoo! JAPAN seeks to provide online products and services essential to users’ lives, and offers a full range of tools and marketing solutions for businesses to connect with Internet users in Japan. Yahoo! JAPAN is headquartered in Tokyo, Japan. Jay helms Signal’s marketing, product and delivery efforts, bringing to the company more than two decades of executive leadership in data-driven marketing. Prior to joining Signal, Jay held several executive leadership roles at Experian’s Marketing Services division, including Chief Product Officer and Chief Marketing Officer. Jay is passionate about helping clients connect their data to the emerging world of people-based marketing. Prior to Experian, Jay held product, sales and operational roles at Yahoo!, Nvidia and Andersen Consulting (now Accenture), as well as founding his own digital transformation consulting business. He studied computer engineering at the Milwaukee School of Engineering before earning his MBA from the University of Michigan’s Graduate School of Business. Jason Yanowitz leads Signal’s technology organization. He oversees a fast-paced engineering culture where team members enjoy the satisfaction of complex problem solving across highly scaled low latency systems. Jason brings a quarter century of technological experience to Signal: prior to joining the company, he served as chief architect at digital lending platform Bolstr, also spending five years at e-commerce marketplace Groupon, where he spearheaded development of its international merchant payment system. Jason began his career in the digital gaming sector, with stints at Gamesville and GameLogic. He attended Hampshire College, followed by graduate studies in computer science at UMass Amherst.